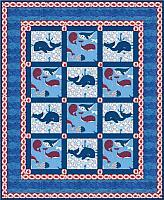 This pattern is an easy beginner pattern that uses raw edge appliqué for the main whale applique. It can easily be customized for any color you would like and is gender neutral. 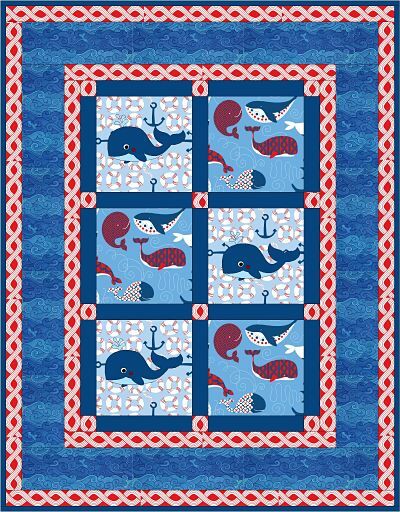 Three sizes - BABY, CRIB, and TWIN - are included in this one pattern. The approximate measures for the sizes are: Baby size 38 x 48 inches, Crib size 48 x 59 inches, and the Twin bed size 71 x 93 inches. 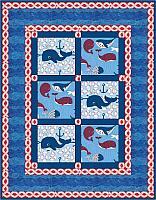 Fabric Yardage charts, Cutting charts, and a Quilt Assembly Diagram is included in the pattern. You will be able to download the PDF file immediately upon purchase and payment. 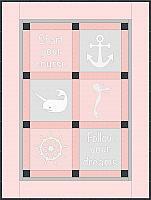 In addition to pattern instructions, you will receive pdf files for the templates to be hand cut. We have also included have the SVG file for machine cutting with Silhouette, Cricut, Brother Scan-n-cut, Make the Cut, etc. This file can be used with any software or machine that accepts SVG files. We rate this pattern as Beginner. 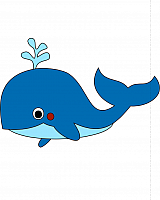 The zipped PDF file contains both the PDF pattern with the whale template and the SVG file. If you cannot unzip a file, just contact us and we will email the unzipped files directly to you. 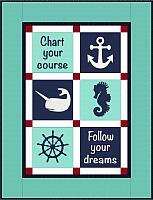 Your pattern always remains available to you for re-download on our site. 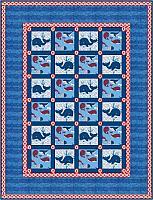 This makes a beautiful quilt and we know you will enjoy making it.